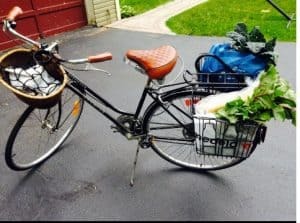 We discovered Basil in 2010 while searching for bike baskets that are high quality, featured cool designs, and had affordable prices. Basil bike baskets are made in the Nederlands, where they have a long history of biking and their mission is to make you enjoy your bike even more. They make beautiful and functional bike baskets, bags and accessories to suit your personal needs and style. 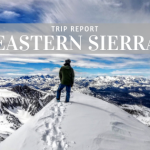 Click any of the links below to purchase. Here are some of our favorite styles. 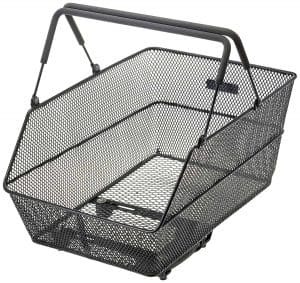 This trendy basket comes in different colors, including black, and attaches onto a rear rack that is purchased separate. It’s designed well and built of steel and wire for durability. 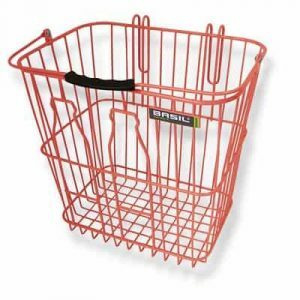 The handle has a nylon weave for comfort so you can take the basket on and off and use it while shopping or at the Farmer’s Market. It slips on and off easily so you can take it with you then put it back on when you are done with your errands. The design is deep and holds quite a lot of items. 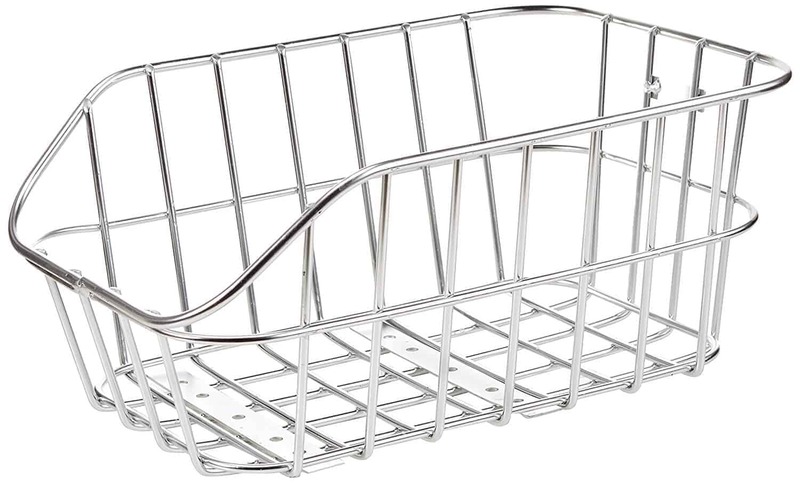 The hooks are long so the basket stays put when you go over bumps. You could put one or two on your back rack. Reviewers that only had one didn’t notice being off balance with the basket loaded. 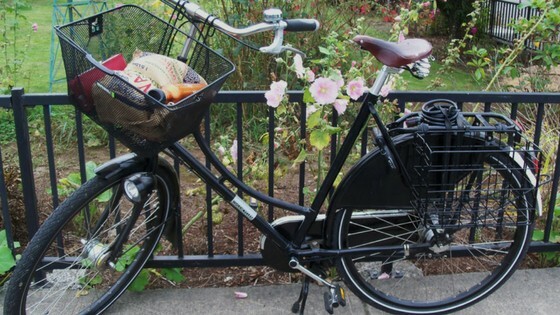 We recommend these baskets for anyone who likes to bike commute to the market, the beach or park and bring along a picnic, beach blanket, extra layers or groceries. Rear baskets are better for heavier loads and are more stable, front racks can affect steering and balance. 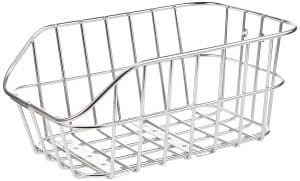 The Basil Cento Rear Basket is made from steel and well constructed. With some padding the Cento could also be used as a Pet Carrier. It’s easy to install and fits on most rear racks. It’s not easily portable although it has carrying handles . The Basil Cento is the perfect width and depth to carry all of your stuff to the market or school. There’s even a rain cover for it that’s sold separately. The sides are tall enough that items stay put and don’t fly out while you are riding. This is a great bike basket for someone who commutes to school or work and doesn’t want to wear a backpack. You can throw all of your stuff in this basket and go! 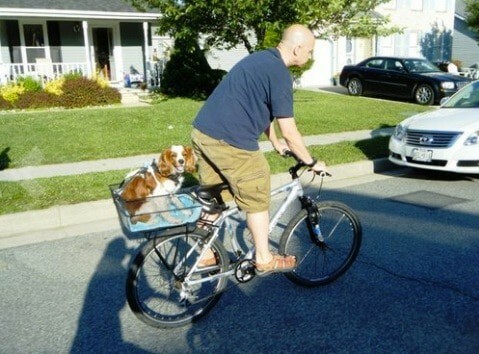 The Basil Cento bike basket makes a great pet carrier. Similar to the Basil Cento above, the Cento Alu Rear Bike Basket is made from aluminum and has wide spacing between the bars to make it lightweight. It has a very clean and modern look. 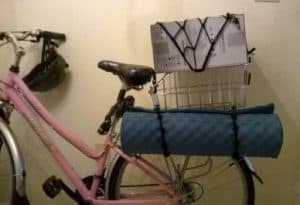 This is a great bike basket and one reviewer noted that because of the wide spacing you can attach things, like a yoga mat, using bungee cords to the outside increasing the carrying capacity of this basket. It’s high quality, durable and can carry heavy loads. This is the perfect bike basket for little girls, it’s pretty, fun and functional. Little girls can carry around their dolls or stuffed animal friends on their next ride. The flower design is pretty and works for younger and older girls. 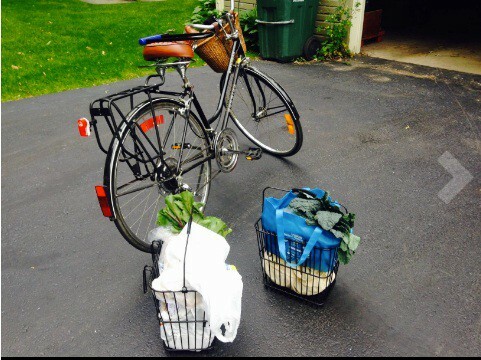 The Basil Jasmin Bike Basket is made of metal for durability and has metal hooks that go over your bikes handle bars. This basket is portable and can easily slide on and off your handle bars. 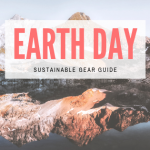 Some reviewers said it slips a little too easily on and off so they used zip ties to keep it secure and it’s best on bikes without gears and hand brakes. 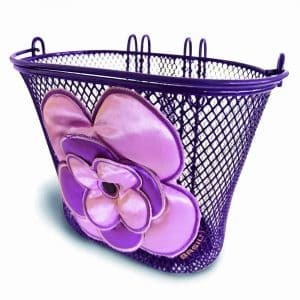 This is a fun bike basket that girls of all ages will love. 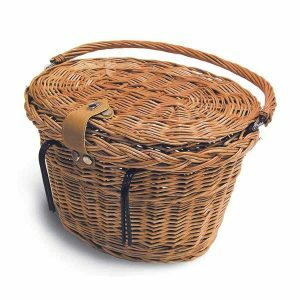 For those who like the classic wicker basket look the Basil Denver Bike Basket is one of the most popular. The easy to close lid has a leather strap and snap that keeps all of your stuff secure while riding so nothing blows away. This super cute basket doesn’t require any assembly, you just put it over your handle bars and are ready to go. Pack your next picnic in this basket and take it with you to the park. 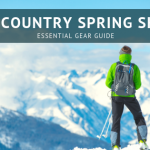 The size is large enough for packing a blanket, lunch and beverages of your choice. Easy on and off your handle bars making this a multi-functioning basket. It’s a bike basket, a picnic basket, a grocery basket and more! Here at Tahoe Mountain Sports we love Basil Bike Baskets and promote biking as much as possible for exercise and to conserve fossil fuels. Do your part and outfit your bike so you can use it to carry everything you need.